FORT PICKETT, Va. — More than 125 members of the Virginia Defense Force took part in training to improve their individual skills in the areas of interoperable communications, incident management, traffic control and chaplain support April 1-3, 2016, at Fort Pickett, Virginia. The VDF is headquartered in Richmond and has regiments based in Virginia Beach, Manassas, Lynchburg and Winchester. In the regiments, VDF members are assigned to specific teams that provide a capability like high frequency radio, Statewide Agencies Radio System, or STARS, incident management assistance, traffic control and access control. VDF personnel also conducted training on the Mobile Communications Platform trailers and the trucks used to haul them as well as the Tactical Communication Packages, or TacPaks, provided by the Virginia National Guard joint communications section. The training weekend is the first of three phases leading to a large-scale collective training exercise in the fall. The April drill weekend focused on individual training, then in September the training will focus on teams, explained Lt. Col. (Va.) Nicholas Christoff, deputy operations officer for the VDF. In November, the VDF will conduct Forward Guardian with all the units in the state operating at their home stations, and is also expected to include other nearby state defense force organizations. Maj. Gen. Timothy P. Williams, the Adjutant General of Virginia, Brig. Gen. Walter L. Mercer, Virginia National Guard Assistant Adjutant General – Army, and Command Sgt. Maj. Alan M. Ferris, Virginia National Guard Senior Enlisted Advisor, toured several classes and received updates from VDF senior leaders. The VDF is an all-volunteer force authorized by the Code of Virginia and organized under the Virginia Department of Military Affairs reporting to the Adjutant General of Virginia. 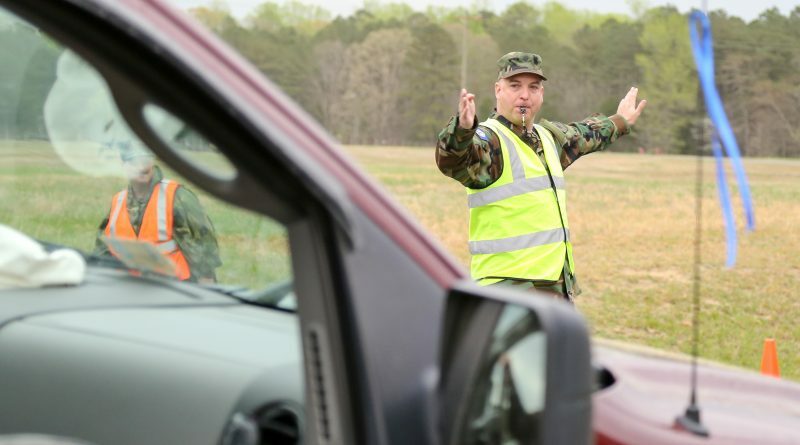 The members of the VDF volunteer their time for training and are only paid when called to state active duty by an authorization from the Governor of Virginia. Communications support, operations center augmentation and security assistance are some of the many different missions sets the VDF provides, and those mission sets take advantage of the wide variety of public safety, military and civilian skills that VDF members provide. Members of the VDF conducted a 24-hour communications exercise March 4-5, 2016, in multiple locations across Virginia. Operating in their MCP trailers in Richmond, Winchester, Lynchburg and Pulaski, they used high frequency radios as well as other systems for voice and data communications to communicate with civilian amateur radio operators. The 24-hour exercise was designed to test the VDF’s ability to conduct continuous operations in the event of incident that degrades normal communications capabilities.